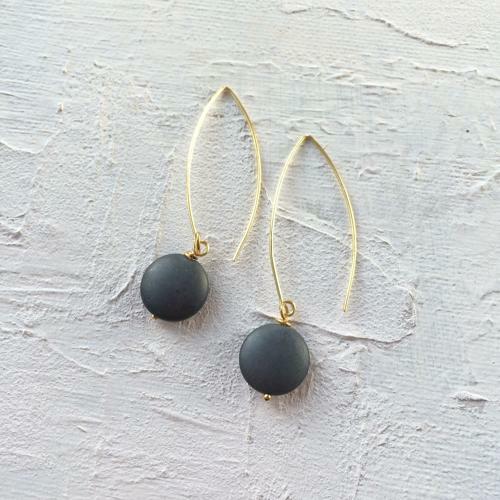 Polished hematite stones on either gold or silver plated earring wires. Length 6cms. Hypoallergenic and nickel free. Designed and hand made in England.